Remember when you had the link of a “Happy New Year,” a cover song performed by siblings Nungshitula Pongener, Merenyangla Pongener and Rϋmen Pongener forwarded on social media and got tempted to forward it to your friends? The video has 1,71,910 views till date—an achievement of viral level considering that the singers have not released any originals as yet. So far, Nungshitula Pongener has covered four cover songs — I Can’t Make You Love Me, What I Know, Mary Did You Know, and Happy New Year. So, who is this singer notching up likes and shares? To state the obvious, Pongener is not new to music: She participated in season one of Kids For Fame. 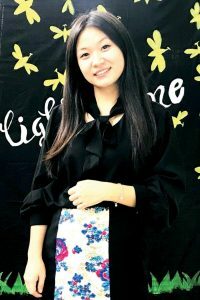 She is the Winner of Nagaland Music Safari 2008, Dimapur district; and winner of Thomso (Duetto) 2013, a national level cultural festival. Although she has not released any of her originals yet, she has become an internet sensation in her own right for users from the state. In today’s Rhythm of Love she talks to us about her musical journey. Eastern Mirror: Technically, you are new to the scene. We are excited and curious to know more about you. Do tell us how it all started with you all? Nungshitula Pongener: From a very young age, we were taught to sing by our parents. Music is not new to us since we come from a musical background from our maternal side. Eastern Mirror: Are you siblings or cousins? Please give us their backgrounds too for our readers. My younger brother is Rϋmen Pongener currently in Class-10 in Livingstone Foundation Hr Sec School, Dimapur. Eastern Mirror: What are the creative processes involved in working with siblings? Nungshitula Pongener: Presently, all three of us are studying in different places. We came together for holidays where we had a very hectic schedule. I wanted to wish my subscribers a Happy New Year, then we suddenly decided to do this together and wrapped it all in just 3 days time (includes the practice, audio recording, video recording and video editing). Eastern Mirror: You all seem to be quite young. Is music a long term aspiration to you? 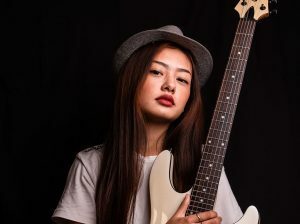 Nungshitula Pongener: Both my sister and I am from different fields of study, my brother still very young, but we would like to inspire others through this gift of music. Eastern Mirror: You have a series of holiday covers. What were the challenges in reworking the classics, especially works that involve Christian themes? Nungshitula Pongener: Yes I have two (2) – Mary Did You Know. I think many a times we intend to go astray in many aspects, so last Christmas I wanted to share the true meaning of birth of Christ through that song & Happy New Year (Originally by ABBA). For this song, we decided to do one of mum’s favourite classic band ABBA. Eastern Mirror: Do you feel that renditions are technically more challenging, in contrast to originals, because it demands fulfilling certain creative stereotypes of the listener who already knows the songs? Nungshitula Pongener: It is important for us to reach out to a certain crowd first through some covers in order to comply with what they anticipate from us. Then, in later part as we grow more we can influence our listeners through our original music. 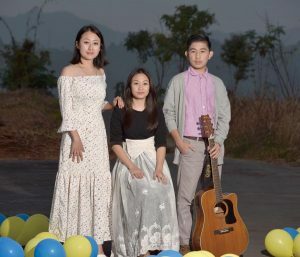 Eastern Mirror: Considering that Nagaland’s music scene can be a bit bad-tempered, what are your expectations from people who come across your work? 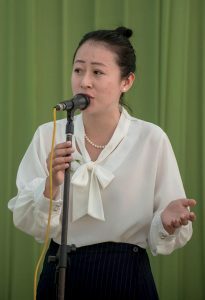 Nungshitula Pongener: Different people have different styles and taste in music and it is up to the listeners how they would love to comprehend. Eastern Mirror: Have you worked with independent bands before, and would you like too? Nungshitula Pongener: No, I haven’t. And I certainly would love to work with some renowned bands and singers from Nagaland in the near future. 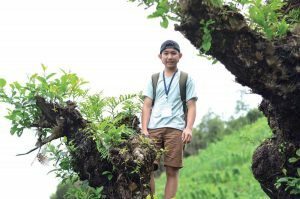 Eastern Mirror: In all honesty, what are some of the things about the music industry in Nagaland that you feel need to change. Nungshitula Pongener: There are a lot of talented musicians who are struggling and they need support from all angles, that’s number one, and Number two, there is lesser scope for Naga musicians in the present scenario since we are in a digital age our revenues as musicians have become very small, because we don’t sell CDs/records anymore. And so musicians will have to work really hard. In order to decide as a professional musician is a huge risk in the current scenario. Eastern Mirror: What are the plans you have for the future as musicians? Nungshitula Pongener: We would like to continue inspiring & encouraging the old and the young through this gift of music.